In the recently announced Q1 2018 earnings report, AMD's CEO Lisa Su mentions that the company is already testing 7 nm Radeon Instinct GPUs, which should be sampling later this year. This GPU series is most likely part of the Vega 20 family that appeared in previously leaked roadmap slides. Spec-wise, the Instinct looks to be a solid competitor for Nvidia's Volta AI GPUs. AMD’s Q1 2018 earnings report recently revealed once again that the Ryzen CPUs and the mid-range GPUs are selling like hot cakes and have helped the company make substantial profits ever since Q3 2017. 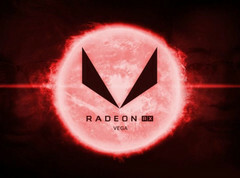 Even though the Vega 10 desktop GPUs were launched in late 2017, these were definitely not responsible for the Q1 2018 profits, since AMD was not able to supply a large enough quantity, so AMD is most likely referring to the older Radeon RX 570/580 that are preferred by the crypto miners for their lower prices and plentiful supplies. However, within the same Q1 2018 earnings report, AMD CEO Lisa Su also mentioned that the 7 nm Radeon Instinct GPUs are already tested in the company’s labs and will begin sampling later this year. AMD’s Radeon Instinct GPU is specifically developed and optimized for machine learning and AI workloads and it is rumored to be part of the Vega 20 family. Su confirmed that the 7 nm chips are manufactured by TSMC rather than GlobalFoundries, since the first one is well ahead on production schedule. Even though the Radeon Instinct was not yet linked to the Vega 20 officially, the slides revealed back at CES this year point out that 2018 will see the launch of a 7 nm Vega series. The Vega 20 is expected to be released in Q4 2018 as a serious competitor for Nvidia’s Volta-based GPUs.